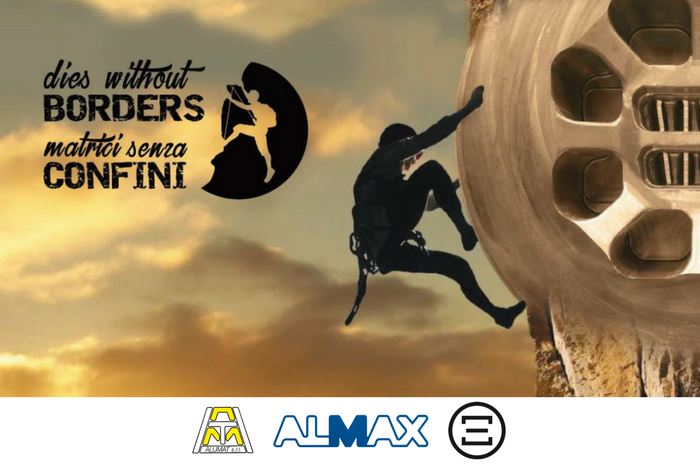 Alumat Almax Matrex: new calendar 2017: "Dies without borders"
We’re glad to announce our new calendar 2017 is out! It’s our 11th themed calendar, and the theme is “Dies without borders“. In the complex world of today, we want to spread a new inspiration. The inspiration that comes from the adventurers. The explorers. The smart ones. Those who trust in their power to overcome any obstacle. Those who are enthusiast in front of a new challenge. Just like you – and us. Just like the adventure lovers in this calendar, we have pushed to extreme our die design and manufacturing technologies. This has allowed us to dissolve the limiting boundaries of a national market and of traditional dies making, exporting the results of such efforts all over the world. We wish you a new, powerful year! May you dissolve the limits that keep you from being excellent in your everyday job.